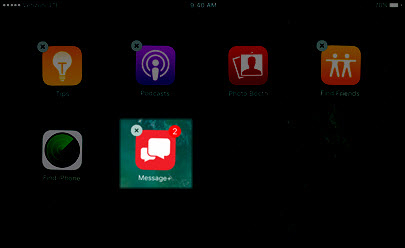 From the Home screen, touch and hold the Message+ app icon. To locate the app, it may be necessary to swipe to the left or right on the screen. 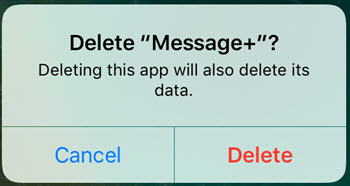 Tap the X symbol in the top-left corner of the VZ Messages app.